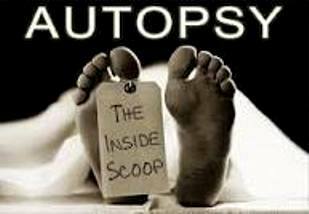 The word ‘autopsy’ comes from the Greek term meaning ‘seeing for oneself.’ The medical and legal use of ‘autopsy’ means anatomical dissection to discover the cause of death and, if necessary, personal testimony in court of law about what the pathologist saw within the body. 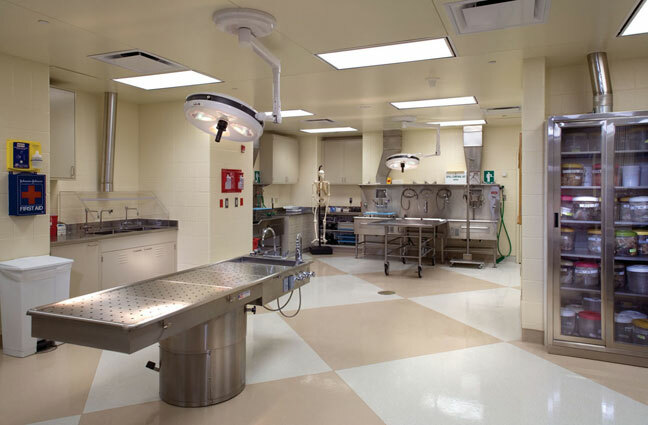 A typical autopsy begins with a Y-shaped incision from each shoulder to the lower end of the sternum and in a single incision from there to the pubic bone. The pathologist retracts the skin and superficial muscles from the chest and abdomen, and cuts the cartilages holding the ribs to the sternum, which is then removed. The pathologist removes, weighs and inspects the heart and lungs, often taking a sample of blood from the heart; the abdominal organs are also inspected, removed, and weighed, taking fluid samples as appropriate. The skull is opened by making an incision through the scalp on the back of the head and detaching it from the bone to lie over the face. The skull is then cut through with a bone saw, the bone removed and the brain extracted. 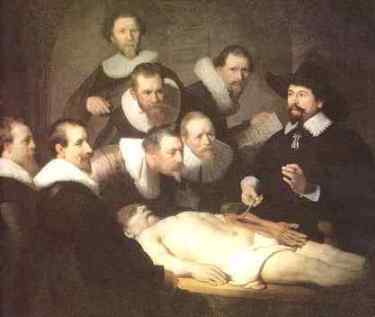 There are two basic kinds of autopsy: the forensic autopsy and the medical autopsy. 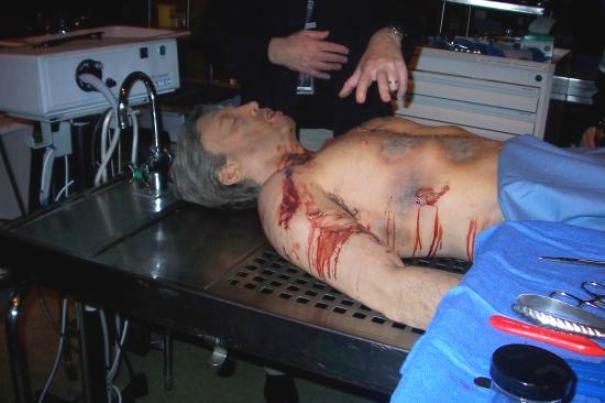 A forensic autopsy is one performed to satisfy the law. In most Western nations, an autopsy must be done if a person died in a homicide or other suspicious circumstances, or is suspected of having had a disease that possibly threatens the public's health. The state requires an autopsy and does not need permission from the deceased's relatives to perform one. The medical autopsy has different goals. In these cases, physicians are already satisfied that the person died a natural death. 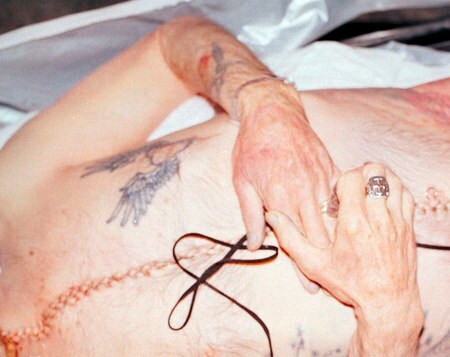 Pathologists then use the autopsy to investigate the details of that natural death. Sometimes they seek additional information about the treatment that the patient had received. 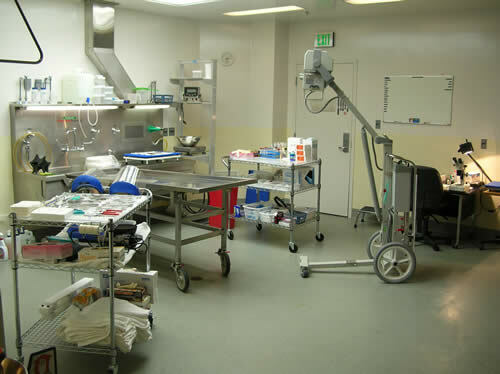 Most medical autopsies require the consent of the immediate family.